Hi, my name is David. 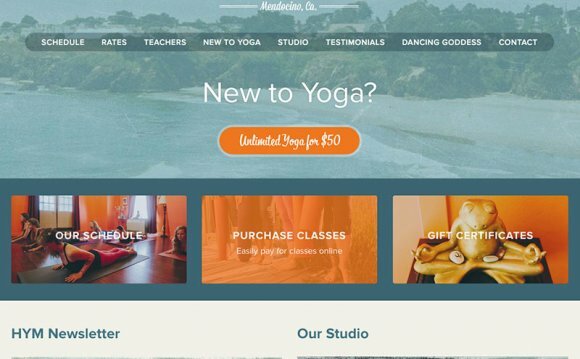 I started Healing Arts Web Design in 2010 to help yoga teachers, yoga studios (and just about any organization) achieve their online goals with beautiful, modern, and easy to maintain websites. As a designer who practices and is interested in music, yoga, Alexander Technique and non-profits, I offer unique insights and understanding that can help your business create a meaningful online presence. My goals as a designer are to always put my best work forward, never stop learning, and to create lasting relationships with my clients. We specialize in designing, creating, and developing websites based on the open-source WordPress content management system. WordPress allows our clients to easily edit and maintain their own websites, and it allows us to develop feature-rich websites at a fraction of the time and cost of developing the same functionality from scratch. Healing Arts Web has evolved into a network-based studio, which means I work with professional designers and developers who care about their craft and take pride in their work. By working remotely and scaling only when we need to, we are able to keep our costs low and deliver quality results - all faster and cheaper than a large agency or studio. Each and every website that we create is designed and coded from the ground up, which means that we address your goals and objectives from the very beginning. This approach leads to a web presence that is truly your own - it establishes credibility, supports your brand, and provides an enjoyable, people-friendly experience for your visitors. Our designs are modern, expansive, beautiful, and custom-designed for your project's needs. We'll move beyond trends to create an effective design that supports your objectives. No templates, only baked from scratch goodness. It's not enough to have a website that simply looks great. We make it easy for you to update any information on your site. This includes all text and images, and more advanced tools like blogs, calendars, schedules, and event registration.